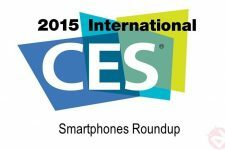 CES 2013: What Happened in Vegas! The CES 2013 4 days event is finally over, giving us a wonderful glimpse of the upcoming technologies in consumer electronics. While the HDTVs with 4k resolution stole away most of the spotlight, there are still a lot of things that we saw happening in the world of mobile phones. The event shattered many rumors and gave rise to some. While we could not see things that we expected to, a number of unexpected surprises came to the surface. The 4 days were full of revelations and various manufacturers showcased what they had been hiding for months. Let’s have a look on some major mobile-tech trends that will decide the course we see use our smartphones. There were rumors that Samsung will showcase the Galaxy S4 with flexible display at CES 2013, but it did not happen. The South Korea-based company, however chose to demo its new technology. Samsung brought a prototype device packing its YOUM flexible OLED display at the famous technology fair. Samsung’s OLED flexible display is starting to grow up and is beginning to become a touch panel that can be used for mobile terminals. The YOUM prototype smartphone presented at CES 2013 has a stiff body case just like any other smartphone, but it has a display that is bent over one of the edges in order to demo the flexibility of the OLED panel. The guys at The Verge and CNet even got their hands on Samsung’s YOUM prototype and its OLED flexible display, which is considered to measure around 5 inches diagonally, while boasting 720p display resolution. The test model was running on a basic version of an unknown operating system with TouchWiz UI on the top of it. It is a very interesting technology that lets you see you notifications and other information on the side panel. Another eye-catcher of the CES 2013 was the YotaPhone Dual-Screen Android phone. This 4.3-inch HD phone sports a 4.3-inch E-ink display on the back that will mirror the front, share maps, save battery, show you the weather and so much more. What you do on one screen is also shown on the back display, while the screen at the backside goes off. The screen also support multi-tasking, that is you can do different tasks at the same time. The Sony Xperia Z might just turn out to be the star of CES 2013. Among all the 4K, OLED, 86-inch, smart platform, Wi-Fi, NFC, 3D, app-hungry AV monsters that normally hog the limelight, it appears to be this, well, not so humble phone that’s stolen the hearts of observers round the globe. It sports a 5-inch (1920 x 1080px) Reality HD display with Sony BRAVIA Engine2, a Quadcore 1.5 GHz Qualcomm Snapdradon S4 Pro processor, Android 4.1 Jelly Bean, a 13 MP (1080p) rear and 2.2 MP front camera, 2330 mAh Battery, NFC, WiFi, 16 GB internal storage + micro SD slot, and many others. The most striking feature of this smartphone, however, is its water and dust resistant quality. Another thing the CES gave us war the introduction of a new super chip from NVIDIA that will definitely have a great impact on the mobile phone industry. The company unveiled Tegra 4 quad-core Cortex-A15 Processor which claims to be the world’s fastest chip for portable devices with six times the Tegra 3’s visual output and is based on the 28nm process. Tegra 4 is the first quad-core processor with Cortex A15 cores on-board, and is also compatible with LTE networks through an optional chip. NVIDIA demonstrated the speed of this processor by comparing the load time of Nexus 10’s processor and that of the Tegra 4. NVIDIA would not stop here, it also displayed the new chip’s HDR rendering on live video. The chip is also capable of implementing HDR in burst shots with LED flash. The manufacturer says that its new processor is a significant move toward making our phone’s camera more powerful than DSLRs. While we are talking about processors, it is impossible to overlook Samsung’s 8-Core Exynos 5 Octa Processor that seems to be a worthy, and probably surpassing, opponent to NVIDIA’s Tegra 4 chip. The Korean tech giant and world’s largest smartphone manufacturer just dropped a massive bombshell at CES by announcing an 8-core mobile processor! Samsung too claims its new chip to be the world’s fastest. The new SoC goes by the name Exynos 5 Octa. The processor builds on the 28nm processor, and takes advantage of ARM’s big.Little architecture. The Exynos 5 Octa is capable of automatically switching between performance and energy-saving modes. Samsung too claims that the new SoC is the world’s fastest, and it will help achieve a 70 percent increase in battery life. Samsung’s Stephen Woo said that the Exynos has the “Level of pure processing power, never seen before in mobile devices” and ”more detailed damage to cards, then ever before” . The Chinese phone manufacturer took the opportunity to unveil two smartphones in its 2013 lineup, the Ascend Mate and Ascend D2. The Ascend Mate having a 720p IPS+ LCD display, 8-megapixel camera, 1.5GHz quad-core processor, 4,050 mAh battery and 2GB RAM make it pretty impressive by itself. It looks to be inspired by many of its competitors and its monstrous size make it a little unwieldy. Since Huawei’s primary target is the Asian market, especially the Chinese market, there are very little chances that it will see a global launch. The phone is expected to launch in China in February this year. So this was our little round up of the major Android related events at the world’s greatest technology fair CES. Of course, this not all what happened in Vegas as our focus was only to present the best ones.